We didn’t expect to say this, but Kourtney Kardashian dressed as Michael Jackson for Halloween and had the most realistic costume of 2017. Thanks to their genius hair and makeup artists, Kourtney paired up with her sister Kim and the two went as music legends Jackson and Madonna. 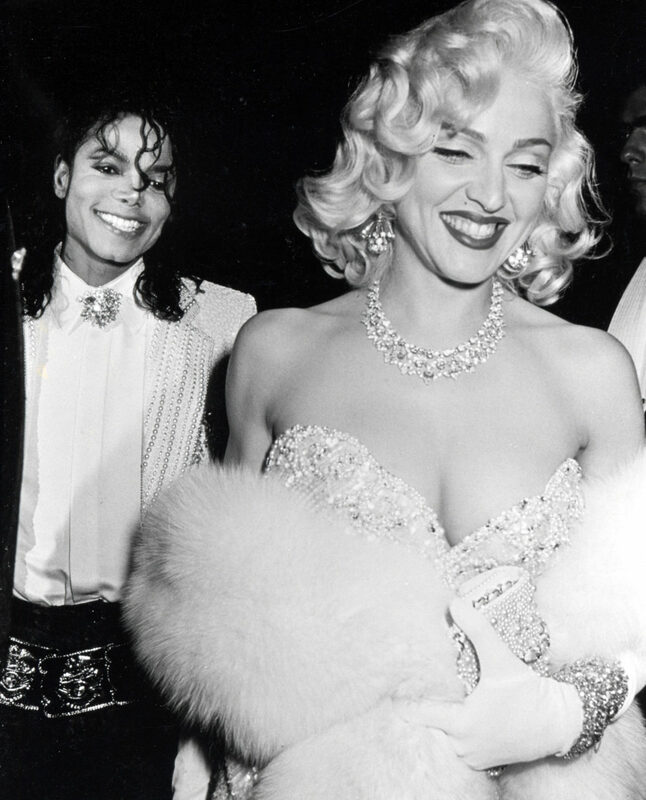 Never forget when those two artists dated and stepped out together at the 1991 Academy Awards. The sisters wore the look to a Halloween party over the weekend, and Kim’s Madonna dress-up was actually her third costume of the weekend. Here is the MJ and Madonna moment that inspired Kim and Kourtney’s Halloween couples costume. And here are the Kardashian sisters. Kourtney’s chiseled Jackson jawbone is thanks to makeup artist Ariel Tejada, and her tight curls are courtesy of Chris Appleton. The suit was custom made for Kourt by Los Angeles-based designer, Stello. Unlike us mere mortals who have a single Halloween costume, Kim had several. Instead of costumes, she had a “Halloween theme.” The other musical legends she channeled were Cher and Aaliyah. “My Halloween theme this year is ICONS! Musical legends!!! Paying homage to some of my faves!” Kim tweeted. Kim’s Cher costume is a perfect replica of the singer’s outfit and glam at the 1973 Academy Awards. For her Aaliyah costume, Kim went with the R&B legend’s exact wardrobe from the “Try Again” music video. To be fair, these aren’t even Halloween costumes, these are perfect homages. That being said, Kourtney as MJ still wins.